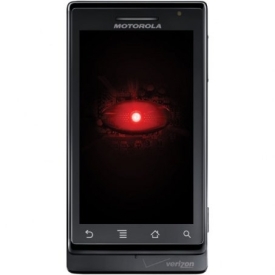 UPDATE: Have you found the Droid X yet? UPDATE: Congrats to Alex Abenoja, who found the phone at the Alabama Jazz Hall of Fame earlier today. Apparently no one has found the phone yet, and that means it’s about to get very interesting here in Birmingham, AL. Five days until Droid X designate #8 will be in a city built on steel. Droid X is built on 1Ghz processing power. Workers here built the rocket that went to the moon. They might think Droid X designate #8 came back from there. Droid X designate #8 doesn’t wish it was in Dixie. Or connect in hdmi. Because it’s already both. Apparently there have also been latitude and longitude clues provided via Twitter (@droidlanding to be exact). Which also means that there will be a few folks wandering the metro area looking for a new free cool smartphone… maybe.